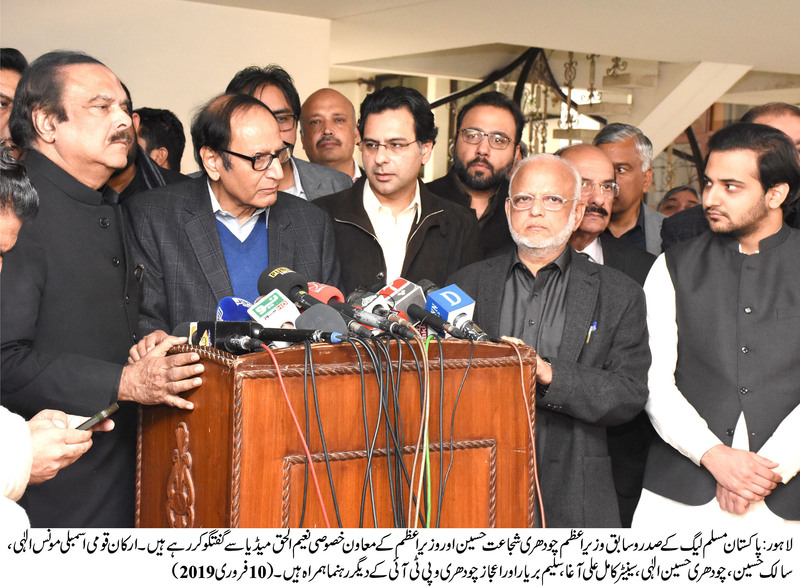 Lahore: 10-02-2019: On special directions of chief of Pakistan Tehrik-e-Insaaf and Prime Minister Imran Khan, his Special Assistant Naeemul Haq called on Pakistan Muslim League (PML) President and former Prime Minister Ch Shujat Hussain at his residence here today (Sunday). Naeemul Haq said that Prime Minister Imran Khan attaches special importance to the alliance with Pakistan Muslim League, some people do not want our alliance, some people do not want to see our alliance and keep spreading rumors, but there is no such difference between the two parties, in some matters there the stance can be different but this is not weakening the alliance, I have been sent by Imran Khan to Ch Shujat Hussain to say that there is no difference between us and this alliance should be further strengthened and it will gain further strength. 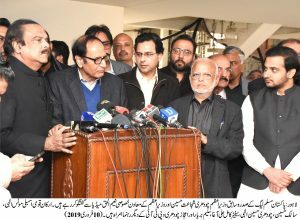 Welcoming arrival of Naeemul Haq, Ch Shujat Hussain said that whatever he has said is quite meaningful, we have pledged to go together and will move together Insha-Allah, those spreading rumors and creating obstacle in the alliance will fail, the alliance will remain intact, supporting Imran Khan is the need of the hour, Chief Minister Usman Buzdar is good selection of Imran Khan and this will yield good results, we will foil any movement against him and not be part of any conspiracy.